For Marcia, it’s all about the experience. And she wants to ensure her clients enjoy every aspect of the buying and selling experience. A gifted servant, Marcia wants to use her expertise to help others realize their dreams and goals in real estate. A Davie County native raised near the intersection of Highways 801 and 158, Barney opened her own real estate firm, MarKam Unlimited, in 2004. She has extensive experience in both commercial and residential real estate. 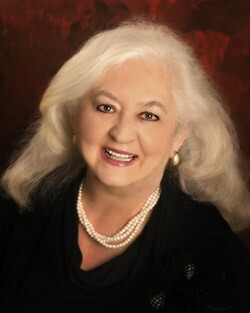 A participant and facilitator of many multi-jurisdictional and public issues committees, she was actively involved in the formation of the Triad Governments Committee in 1986, helping to secure Davie County to the expanded group Piedmont Triad Horizons, now known as the Piedmont Triad Partnership. In 2008 Barney was awarded the President’s Award “In appreciation for outstanding service and dedication to our organization” by Julie Poplin, President of the Winston-Salem Regional Association of REALTORS (WSRAR), a group of real estate professionals with whom Barney remains actively involved. In 2017 Barney was presented the D. June Dinkins Political Affairs Award “In Recognition of Outstanding Involvement in Local, State, and National REALTOR Legislative and Political Affairs, Activities, and Service Excellence in Governmental Affairs” by WSRAR President Lou Baldwin. She also coordinates the Davie County/Bermuda Run Economic Development Update Meetings. Marcia is a member of the North Carolina Modernist Houses Mod Squad, the Joint Legislative Committee of WSRAR-HBAWS, and the WSRAR Home Inspection Committee and Appraiser/Broker/Lender Forum. Mom to her lovely daughter, Kami, who works at IBM in RTP, Marcia’s servant’s heart also extends to animals. A true animal lover, she has rescued dogs and cats and spayed/neutered hundreds of cats over the years. Her current furry children include cats Wobs, Sweetie, Ralph, Bitsy, Buster, and Bambi; grand-dog Petunia and grand-cats Oreo and Butterscotch. When Marcia isn’t helping her clients buy and sell real estate, she enjoys baking and cooking, writing (she even has a pen name! ), and traveling.